On the morning we left Canyon it was 32 deg. We got up early and went to a ranger talk in the Hayden Valley. We then headed for the South Entrance taking in all the stops along the way. 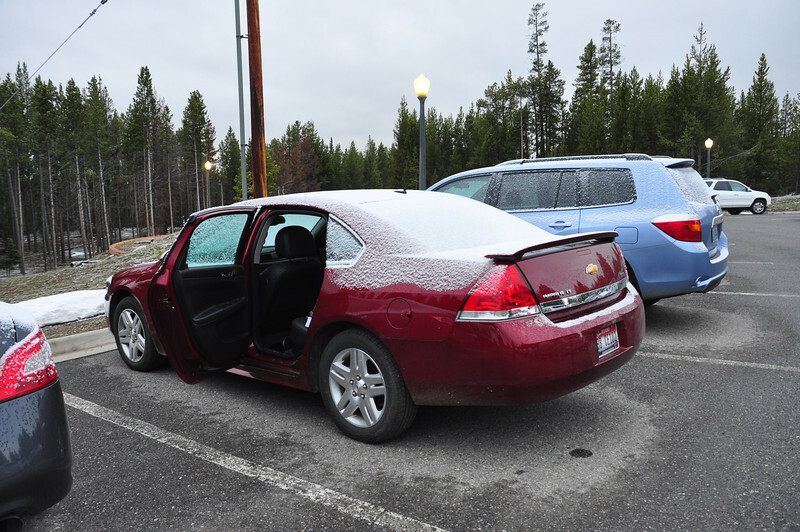 June 17th and it snowed in Yellowstone!